Today I bring you my blingy nails as I imagine I'm decked out in Christian Dior Haute Couture and professional hair and makeup :P No, I don't want an award...just want to look like I'm getting one. Hahaha. So, I used all products from Born Pretty Store. 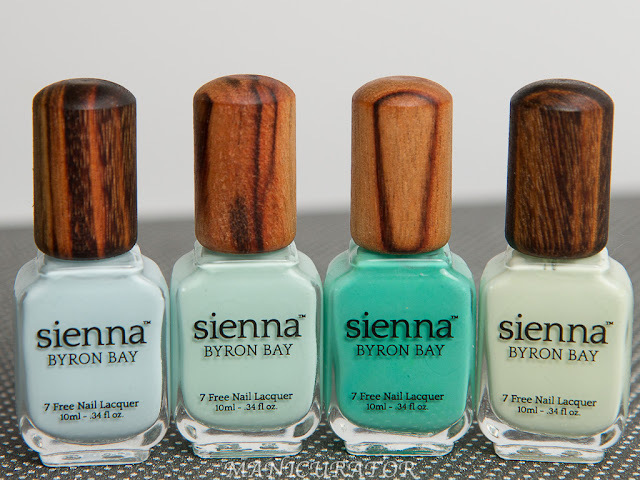 The polish is a beautiful mint green, find it here. And I topped it with circle glitters that you can find here. The polish shade is #337. It has a good crelly (combination of creme and jelly) formula, I used 3 coats here. No issues with application and dries to a nice shine. This glitter set comes with 12 different colors, I obviously only used 2 of them for this. The next 2 photos are showing you before the top coat went on. See, the polish shines all on its own. Oh, circle glitters, how cool!! I love your mani! Amazing, I love the colour combination! Hy there.Nice blog you have here. i love it so much and you nail designs are so beautiful and interesting. I have also a nail passion and I love to paint them in different colors and to make different designs. 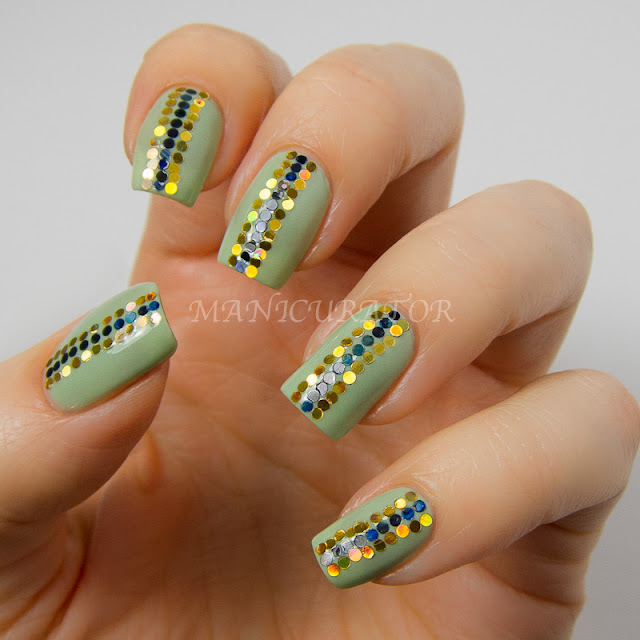 If you are in a mood please take a visit to my blog too and discover beautiful nail designs. I will follow your blog for sure. Kisses and thanks in advance. These nails are gorgeous!! I really like the green polish you chose!! This looks great! So sparkly! And I love the mint green :) Great for Spring! 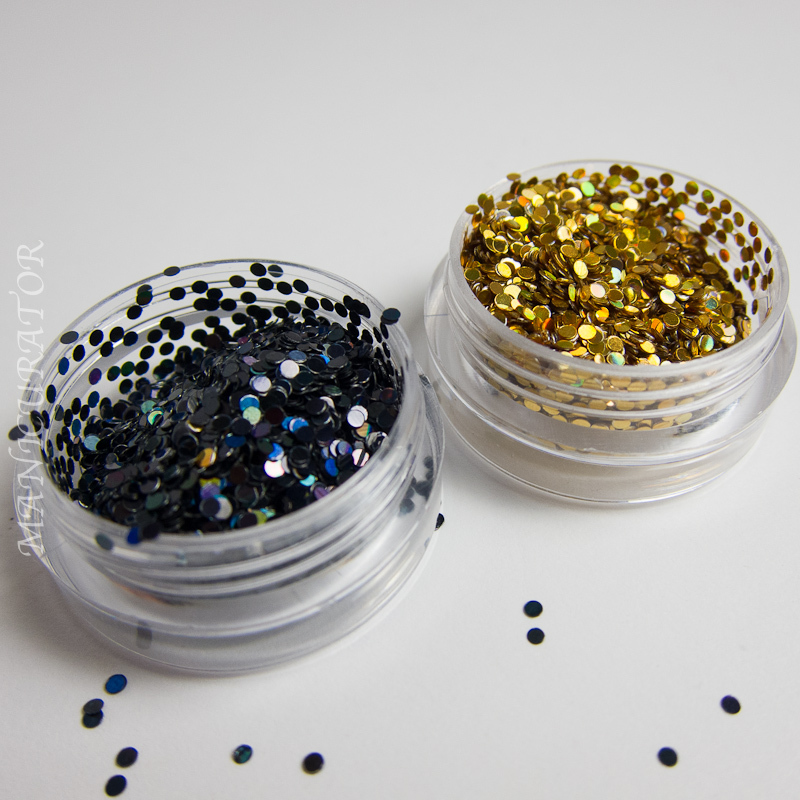 Totally loving the basecolor, and the round glitter looks fun! 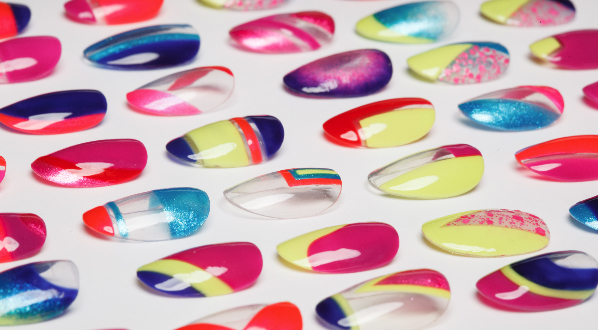 Everyone seems to be using it these days, not only in indie polishes, but in nail art now too!